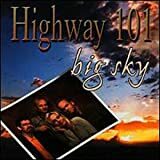 Highway 101 is an American country music band founded by Paulette Carlson (lead vocals), Jack Daniels (guitar), Curtis Stone (bass guitar, mandolin) and Scott "Cactus" Moser (drums). 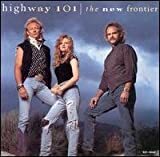 With Carlson as lead vocalist, the band recorded three albums for Warner Bros. Records Nashville and charted ten consecutive Top Ten hits on the Hot Country Songs charts, four of which went to Number One. After Carlson left in 1990 to pursue a solo career, the band recorded a fourth album for Warner with Nikki Nelson on lead vocals before exiting the label. One album each followed on Liberty, Intersound and Free Falls Records. Moser, Stone, Nelson and Andy Gurley comprise the current lineup.